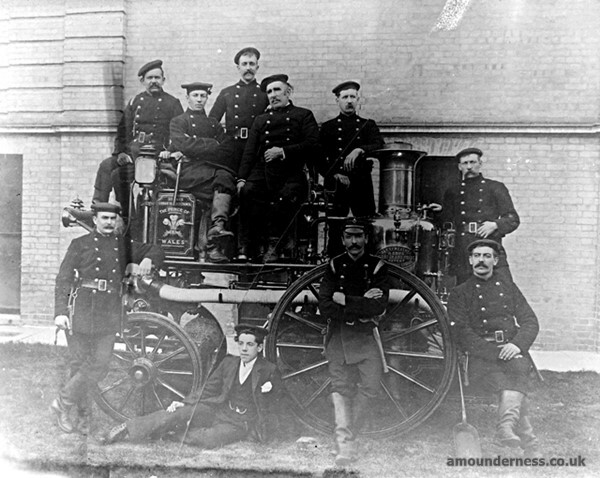 St.Annes-on-the-Sea Urban District Council purchased a William Rose (Manchester) fire engine in 1900. This afternoon an alarm was given at St, Annes that one the large residences on North Drive [Clifton Drive North] was on fire. The brigade turned out with the hose cart, and found the back wing of Mr. Whittaker’s house in flames. After an hour’s work the fire was extinguished, but most of the roof at the back was destroyed, the damage being estimated at about £lOO. The fire supposed to have originated through the kitchen flue overheating the felt and boarding under the slates. It somewhat remarkable that the new steam fire engine only arrived St. Annes on Saturday. 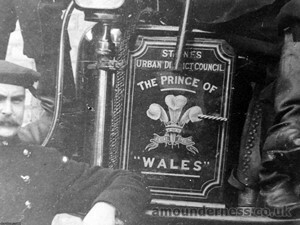 St.Annes-on-the-Sea Urban District Council purchased a Merryweather fire engine in 1908-9. 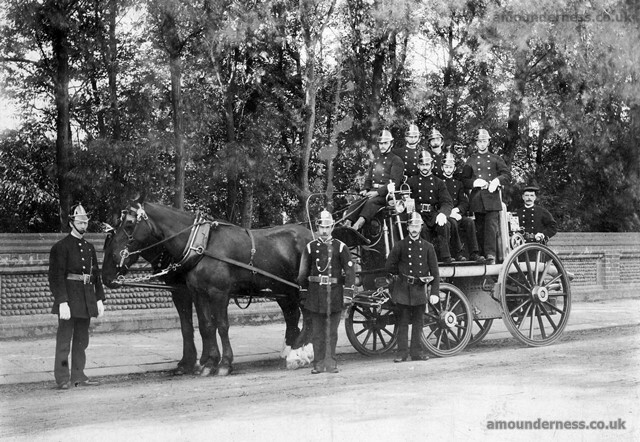 Firemen outside the old St Annes Fire Station in St Andrew's Road North - undated press cutting. 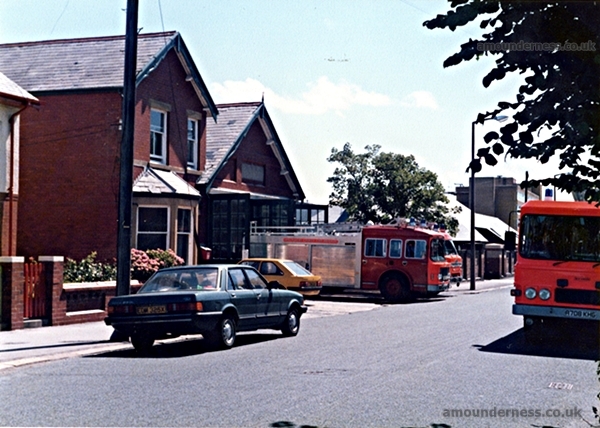 St Annes Fire Station (built c1900) in St Andrew's Road North and in the distance the new Fire Station (opened about 1986). 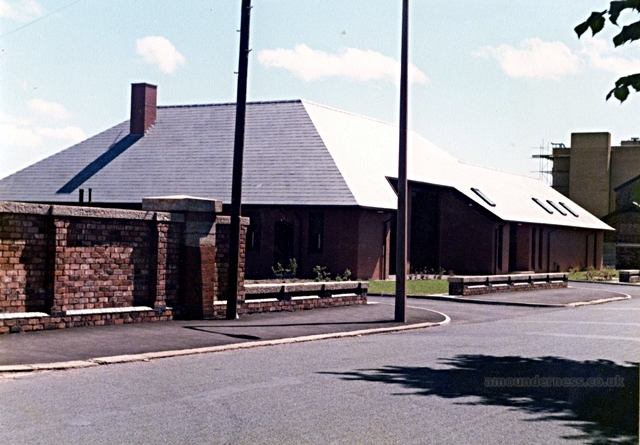 The new St Annes Fire Station (built 1985-6) in St Andrew's Road North, 1985/6. 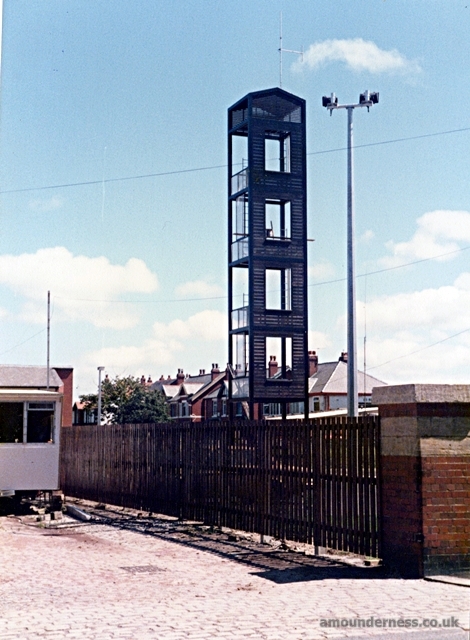 Training tower at the new St Annes Fire Station (built 1985-6) in St Andrew's Road North, 1985/6.